Have Computers Got Your Head In A Spin ?? Sue Wild – trading as TeamWild PC Solutions – is the only computer company in Nottingham that can offer a female engineer providing computer advice, installations & upgrades in your own home. 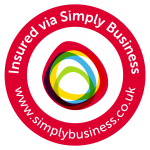 We’re based in Bramcote, Nottingham and are fully insured and DBS checked – so you can be sure you’re in safe hands with our service. Contact us for any computer or laptop related queries.